I received a question from Jack from the United States in December 2017. 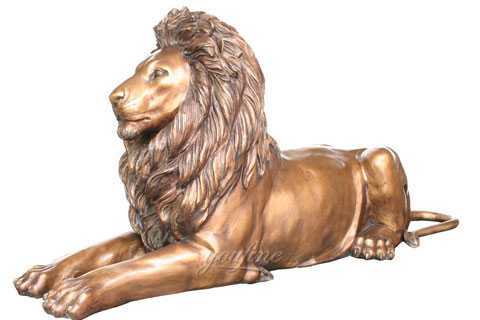 Jack is a director of a zoo and they are very interested in our bronze lion statue for front porch. 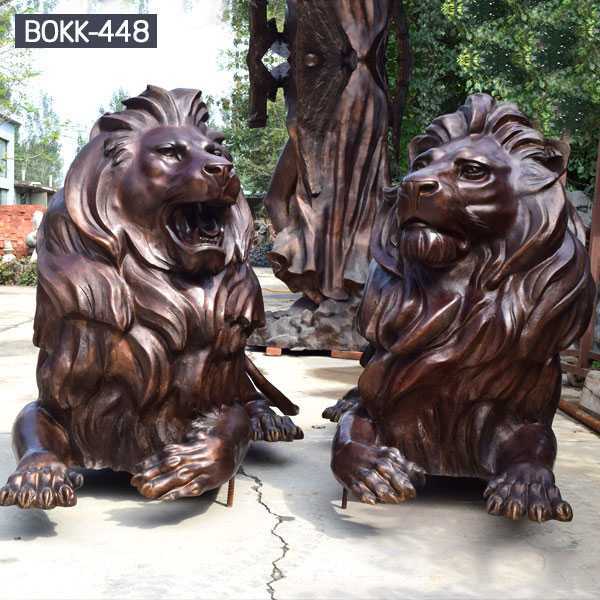 Our client Jack told us that he wanted to place a not too scary lion statue in front of the zoo. In order to attract children to play in the zoo. Finally Jack decided to choose a pair of lions with a ball statue. 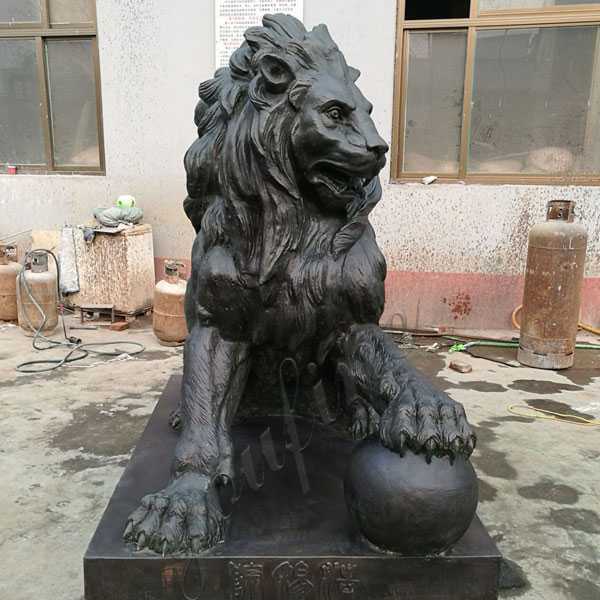 The bronze lion sculpture sits on the floor, feet on the brass ball. The lion is very lovely. 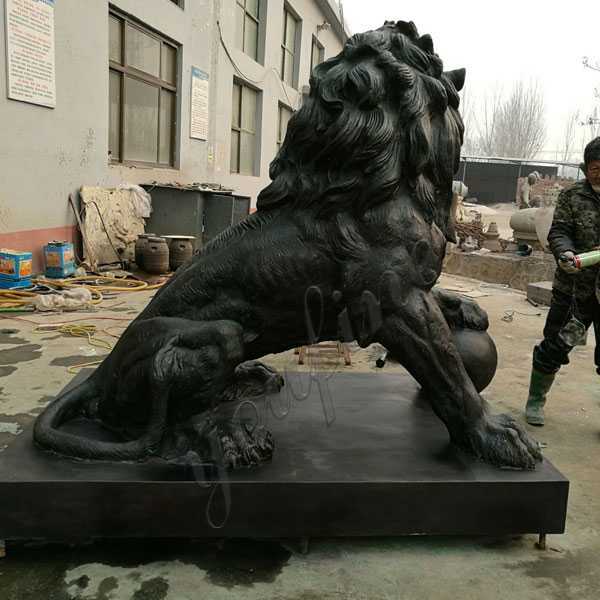 The size of the bronze lion statues for front is: Height :183 cm Length: 180 cm Width: 125 cm. Each of our pieces will make a 1: 1 ratio of clay molds. 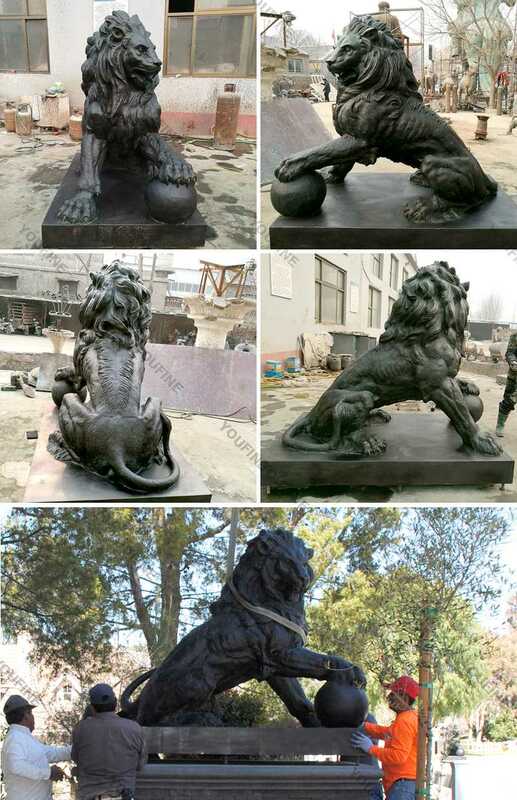 Customer saw our clay mold is very satisfied,there have the pic of mold,the bronze lion statue in our factory,and the sculpture at the Zoo in USA. Our factory is equipped with a modern studio and has created a clay model design. We have professional designers and artists, we can customize any sculpture according to your design or requirements. 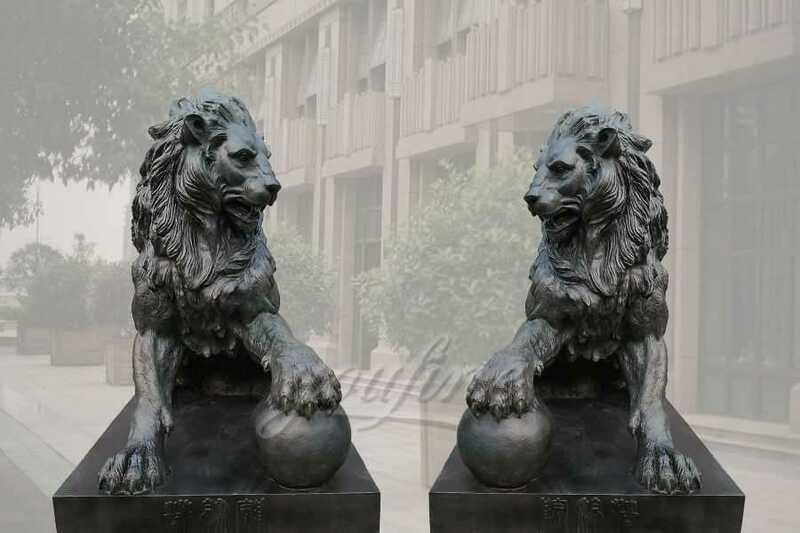 We specialize in traditional handicrafts, western sculptures and outdoor lion statues with western ideas. 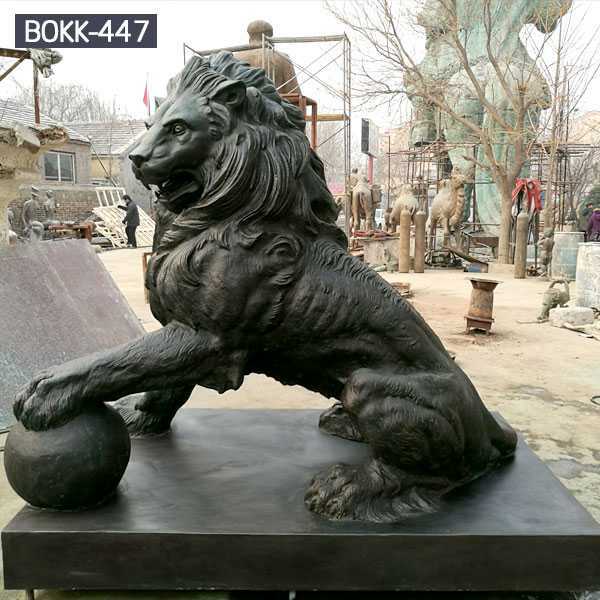 So if you like this bronze lion statue for front porch,please tell us ,and if you have you own designs or idea,all are welcome,we have focusing on casting bronze sculpture since 1983. Why Choose Contemporary Art to Decor Your Space ?